Old antique, one room schoolhouse vintage, writing and drawing slate. 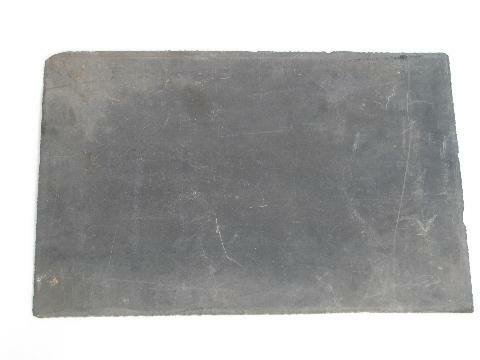 Writing slates and chalk were used in schools by students before the cheap availability of writing paper, as the blackboards could be drawn on and readily erased and used again and again. 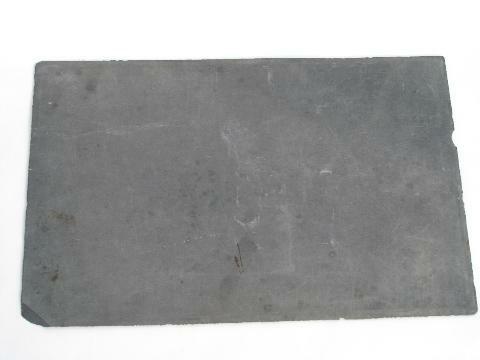 This is a actual natural stone slate and measures about 11" long and 7" wide. This has a slightly beveled edge. The edge of the slate is beveled to allow the slate to fit into a grove in a wood frame. It has a few chips to the edges.